Amia Romero was born on 03 January 1999 in Pamplona, Spain and Alfred Garcia born in 14 March 1997, El Prat de Llobregat, Spain. 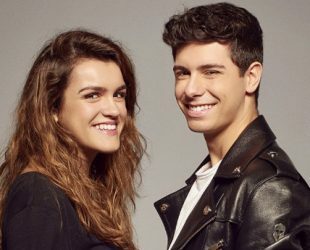 The couple will repsent their country with the song “Tu Canción” at Eurovisin Song Contest Lisbon, Portugal in 2018. Romero’s Instruments: Vocals, Guitar, Ukelele, Piano. Garcia’s Instruments: Vocals, Guitar, Keyboard, Drums, Trombone.